Baharampur (Pronounced asˌbɑ:(h)ərəmˌpʊə) is a city in the state of West Bengal, India, situated in the central part of the state. As of the 2011 census, it had a population of 305,609 and was the seventh largest city in West Bengal (after Kolkata, Asansol, Siliguri, Durgapur, Barddhaman and English Bazar). In 2011, Baharampur was nominated to become a municipal corporation. It used to be known as Brahmapur because many of the Brahmin families settled here. Baharampur is the administrative headquarters of the Murshidabad district. It is located about 200 km (124 mi) from Kolkata, the state capital. 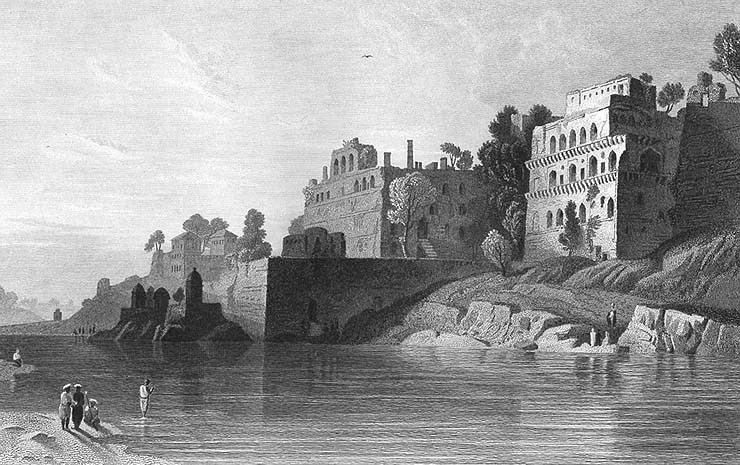 Berhampore was fortified in 1757 by the East India Company, after the Battle of Plassey in June 1757, and it continued as a cantonment until 1870. But the foundation of the city of Berhampore remains questionable. Karnasubarna, which is very near to Berhampore, has a history dating back to 600 AD. Many buildings from the late 1600s can still be seen. The cantonment was constituted as a municipality in 1876 and was the headquarters of Murshidabad district. The Berhampore College was founded in 1853 and in 1888 made over to a local committee, mainly supported by Rani Swarnamayi. On 25 February 1857, the first major armed battle of the Sepoy Mutiny of 1857 took place in Barrack Square, Baharampur, while Berhampore was ruled by Raja Krishnath and his ancestors. 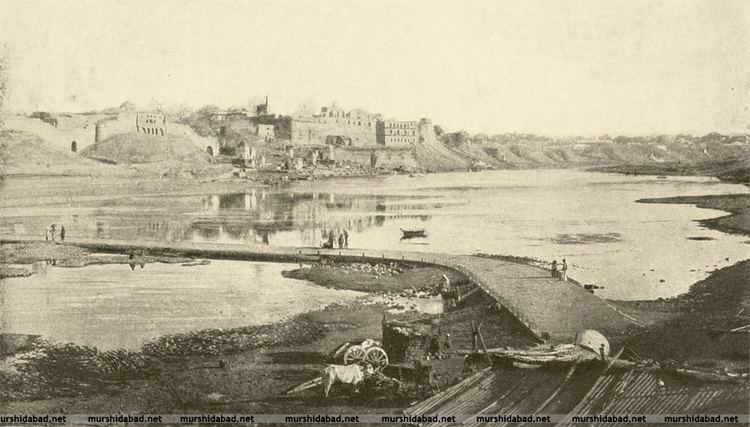 In 1901, Baharampur had a population of 24,397, and included the ancient town of Kasim Bazar. The place which is considered as a legitimate arena of all procedural events and circumstances that has been profoundly well described. Both Cossim Bazar and Lalbagh boar testimony to a blood-spattered yet majestic epoch in Indian history. A very much impacted area of Berhampore are those places in the banks of the stream Bhagirathi river giving a receding process of downgrade and evolution of the abscess marketing and thus leading to one of the well victimised estate of remarkable famine conditions prevailed in 1971. This area was and still is a splendid producer of jute and it defines how the cultivation of the land is in this region. In those days sons learnt from their fathers that the fields near the stream of the Ganges are the most fertile land, so this was described by the British as "The Golden Bengal". Down the time after the East India Company, there happens to be a lot of disruption in the Law and Order of the place. It is not balanced properly, it may be due to the unprecedented activities and thus making a black mark on the soil, which once used to be called as the capital of the country. Yes it the obvious reason Murshidabad was considered to be called the capital, then it was directed to Calcutta (now Kolkata) be the capital and thus finally it was accepted as Delhi. One of the most enthralling and sedimentary arena is the SQUARE field, nearby this square field is the Collectors office, SDO office. The renowned Government College of Engineering & Textile Technology beside the arena provides an appealing yard. The SQUARE field is a life line for most of the persons aspiring their career in Indian Armed forces. Every year hundreds of young do take part in the recruitment process. Some find themselves fit into the box and some are left with other options waiting for them. This field is always crowded with lots of people such as youth practising sports and many other cultural activities does take place here. This place is spiritually poured with lots of love and feelings of persons, most of the retired personnel comes back to this arena where they once toiled their days to get in the rank to serve the GREAT NATION INDIA. 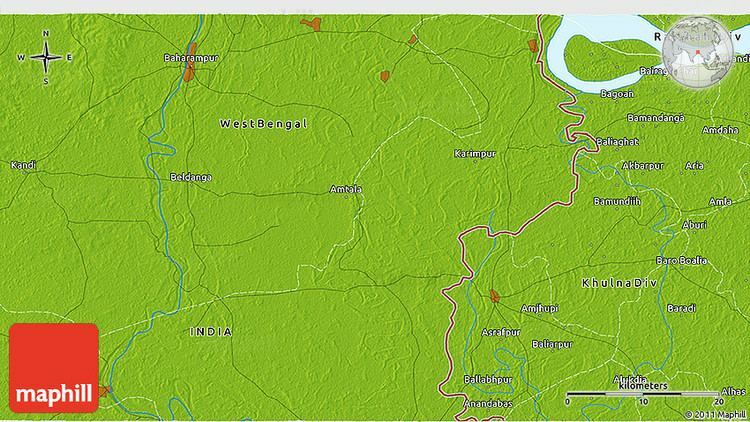 Berhampore is located at 24.1°N 88.25°E﻿ / 24.1; 88.25. It has an average elevation of 18 metres (59 feet). The city is located approximately 200 km north of Kolkata by road at 24°4′N 88°9′E and is situated on the eastern side of the Bhagirathi River, a major distributary of the Ganges. Baharampur police station has jurisdiction over Baharampur municipal area and a part of Berhampore CD Block. In the 2011 census, Berhampore Urban Agglomeration had a population of 305,609, out of which 156,489 were males and 149,120 were females. The 0–6 years population was 23,182. Effective literacy rate for the 7+ population was 88.38. As of 2001 Indian census, Berhampore had a population of 160,168. Males constitute 51% of the population and females 49%. Baharampur has an average literacy rate of 79%, higher than the national average of 59.5%; with 53% of the males and 47% of females literate. 9% of the population is under 6 years of age. Initially, most of the residents of this city were government employees and there were few agricultural as well as silk traders. Gradually, the importance of the city increased due to its geographic location and now it is also a business hub. Due to its historical importance, this city also earns a good number of tourists, thus making tourism another happening industry there. Khagras major industries include agricultural related industries like rice and oil-seed milling etc. Home-crafts like silk weaving, ivory carving, and precious metal working is another important industry in this city. Khagra, a neighbourhood in Bahrampur is renowned for its manufacture of bell-metal and brass utensils, as well as ivory, and wood carving. A famous type of metal used to make bells called "Khagrai Kansha" is made in the city. This is a type of brass that is used to make utensils like dishes & bowls. The city has many big shops which now have become the prime shopping destinations. Express Bazaar, situated at the Mohana Bus Stand- the prime junction of the city is one of them. Style Baazar, Manmohini, Sunita, Metro Bazar are some famous shops at Khagra- another prime market area of the city. The only "Inox" of the town is Silverscreen multiplex which is located near Berhampore Court railway station. Tickets of this multiplex are available from bookmyshow.com. Berhampore is famous for the sweet 'Chhana-bora', the savoury 'Khaja', sweet 'Manohara' and also very famous for Murshidabad Silk (Tassar). Kalika which is being used in most of the Sweet shops, Goldsmiths shops and many other small scale industries. The name Kalika is the Goddess 'Kali', which does cause an impact of resonance to mankind feelings. It refreshes the thoughts and does purify the air around the despair environment. Having patronage from the Nawabs, artists from various field of arts sowed the seed of cultural heritage in this place. The calm lifestyle of this city still evokes a rich cultural environment. Almost all well-to-do parents send their kids to at least one school of art. Among them, dancing, acting, painting, music etc. are the most popular. Several elegant pieces of hand-craft arts can also be found in this region, namely the handcraft in making of carpet, bamboo and jute crafts, miniature paintings. This city can be considered as one of the main cultural hubs of West Bengal. 'Rabindra Sadan' named after Bengal's very own Nobel Laureate Rabindranath Tagore is the place where most of the indoor cultural activities take place. Renowned Theatre groups like 'Berhampore Repertory Theater','Rangasram','Chhandik','Prantik' is based out of this town. Each of the groups organize Theatre festival throughout the year mostly during the winter season. These festivals allow the culturally rich people from the city, nearby towns and villages to witness the great performances from different theatre groups from all over the state, different states and even groups from cross border Bangladesh.A relatively new theater group 'Berhampore Gangchil' has started their own productions focusing only on junior school students. Among the government aided high schools for Boys' Krishnath College School, Berhampore, Berhampore J.N.Academy, Iswar Chandra Institutions( I.C.I), Gurudas Tarasundari Institution (G.T.I), Manindra Chandra Vidyapith (M.C.V) are the most popular ones. The high school for Girls' are Maharani Kasiswari Vidyalaya, Mahakali Pathshala, Shrish Chandra Vidyapith and many others. All the above-mentioned schools are affiliated to State Bengal Board and are Bengali Medium Schools. There are private schools like Mary Immaculate School, Prabharani, Gitaram Academy which are affiliated to Central Board of Secondary Education or Council for Indian School Certificate Examinations are English Medium Schools. The city also has a Kendriya Vidyalaya. Renowned colleges from the city are Krishnath College, Berhampore College, Berhampore Girls' College, Murshidabad College of Engineering & Technology, Government College of Engineering & Textile Technology, Berhampore, Murshidabad Medical College, Central Sericulture Research and Training Institute, administrated by Central Silk board, Govt. of India is a notable research institute in the city. Krishnath College is one of the oldest colleges in Bengal established in 1853 on the land donated by Maharaja Krishnath. It was built as an exact replica of Oxford University, England. Rail - Berhampore is 186 km from Kolkata by train. The train station is named as Berhampore Court railway station (BPC), it stands on the Sealdah-Lalgola line of the eastern railway.Main trains are Bhagirathi express(13103/13104), Hazarduari express(13113/13114), Dhanodhanya express(13117/13118). Other passenger trains include Sealdah-Lalgola passenger, Sealdah-Berhampore Court Memu passenger, Ranaghat jn-Lalgola Memu passengers. Khagraghat Road (KGLE) station stands on the Howrah-Azimganj Junction line of the eastern railway. Main trains of this line are Sealdah-New Alipurduar Teesta-Torsa express, Howrah-Dibrugarh Kamrup Express, Kolkata-Radhikapur express, Hatey Bazare express, Howrah-Malda Town Intercity express, Puri-Kamakhya express via Howrah, Digha-New Jalpaiguri Paharia express, Nabadwip Dham-Malda Town express etc. 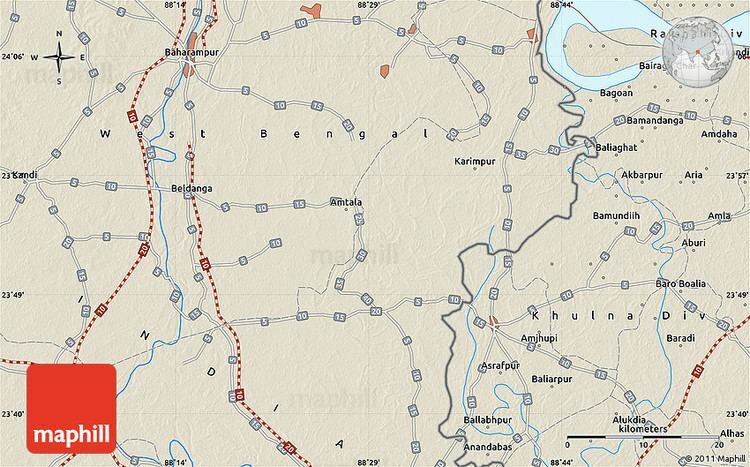 Road - as Baharampur is the administrative headquarters of the Murshidabad district and as it stands just in the centre position of West Bengal, it acts as the link between North Bengal and South Bengal. This city is well connected by NH 12 and National Highway 34 . The local transportation dependent on rickshaws and E-rickshaws (known as tuk-tuk or toto car). There are bus services on regular basis from South Bengal to North Bengal and vice versa. There are two bus terminus in the city - one for the government bus services and the other bus terminus for private buses is called 'Mohona'.There are regular bus services to Kolkata (Espalande). Bus services are also available to other parts of West Bengal such as Durgapur, Siuri, Asansol, Burdwan, Bankura, Jhargram, Bolpur, Rampurhat, Nalhati, Kirnahar, Malda, Siliguri, Balurghat, Gangarampur, Krishnanagar, Ranaghat, Saintha. Bus service is also available to Dumka (Jharkhand). Water - Berhampore city is situated on the banks of Bhagirathi. Berhampore north to Berhampore south is connected via launchboats. Regular boat transport is also available from Berhampore to other towns of Murshidabad such as Azimganj and Jiaganj. 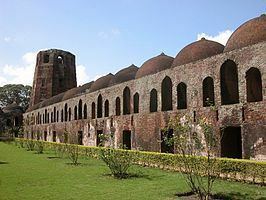 Baharampur is a famous place for tourists in West Bengal. It gets tourists' flow from locals as well as from foreigners, being the first headquarters of the East India Company and having a long history enriched by the Nawabs of Bengal, Sultans of Bengal, Zamindar and other European colonial forces such as Dutch, Portuguese, English (British Raj) and French. The city of Berhampore also shares its name with Berhampore at Wellington, New Zealand. The daughter of Major Paul married local land owner George Hunter. Major Paul was an Indian army officer. George Hunter to show respect to his father in law gave Berhampore the name of the suburb. The old house of the "De" family (relatives of the Cossimbazar Raj) at Churamani Chowdhury Lane is also one of the oldest buildings in Berhampore and was at one point of time the property of the Cossimbazar Raj. Mahasweta Devi (born 1926), daughter of poet Manish Ghatak, writes short stories and novels. Micaiah John Muller Hill, British Mathematician. Sir George Francis Hill, Director and Principal Librarian of the British Museum (1931–1936).